Tivoli Brushed Pewter framed 36X24 unbevelled mirror, a quality unbevelled glass mirror with a brushed pewter frame with black outer edge. Overall size.97X67cm. Brushed pewter framed 36X24 unbevelled mirror. This is a quality unbevelled glass mirror framed in our own workshop. 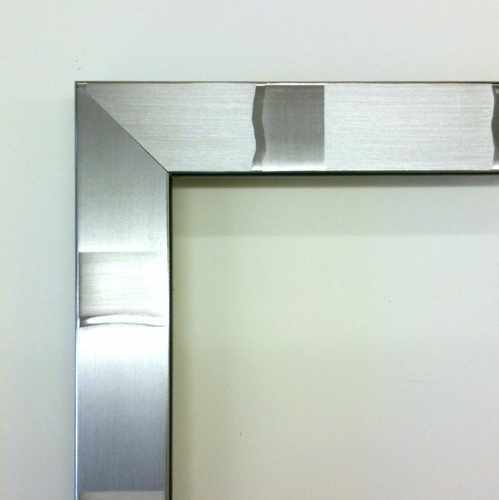 The 4cm wide flat profile of this frame has a brushed pewter finish with a black outer edge. Slightly darker than silver for todays modern look.